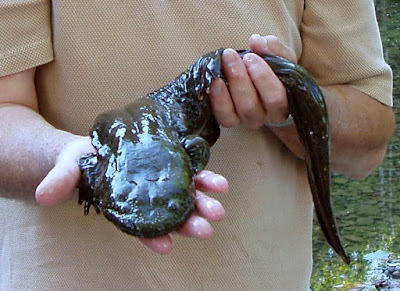 The House State Government Committee has scheduled a meeting on Wednesday, February 6 to consider Senate Bill 9 (Yaw-R-Lycoming) designating the Eastern Hellbender as the state amphibian and clean water ambassador (sponsor summary). The bill just passed the Senate Monday by a vote of 48 to 1. The meeting will be held off the floor (at some point after the first adjournment of the day) in Room 60 East Wing. Most committee meetings are webcast at the House Republican website. Rep. Garth Everett (R-Lycoming) serves as Majority Chair of the Committee and can be contacted by calling 717-787-5270 or sending email to: geverett@pahousegop.com. Rep. Kevin Boyle (D-Philadelphia) serves as Minority Chair and can be contacted by calling 717-783-4944 or sending email to: RepKevinBoyle@pahouse.net.